Zugno was one of the closest and best followers of Giovanni Battista Tiepolo. His mature style is readily distinguished from Tiepolo’s by its greater delicacy, soft contour, and sweeter color. His gentle and elegant manner surely reflects some knowledge of contemporary French painting, especially the school of Jean-Antoine Watteau. 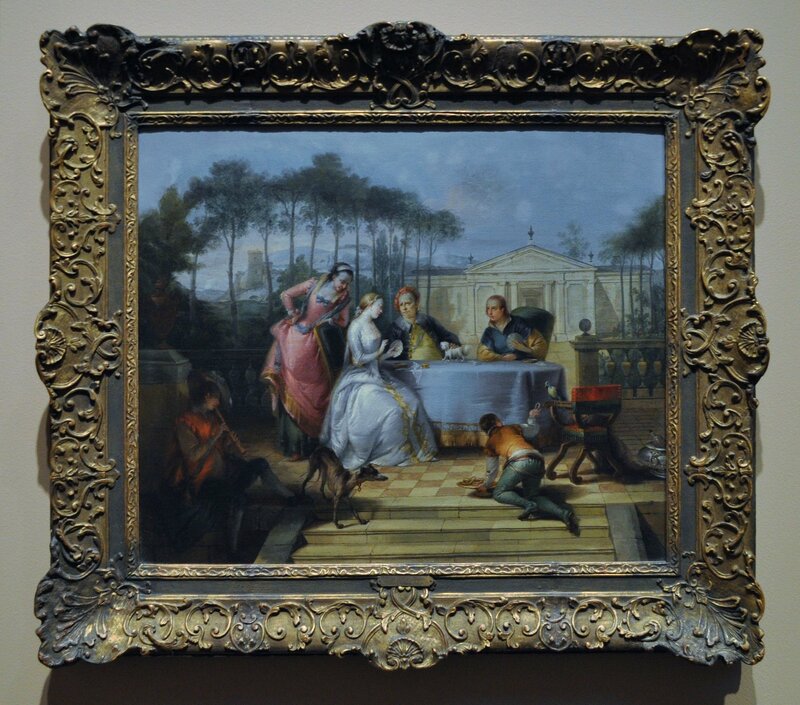 This picture shows a young couple playing cards under the supervision of an older couple – her guardians? – and attended by two pages. In such a context, the game becomes a metaphor for courtship.